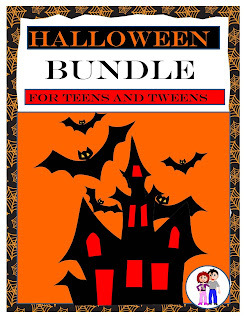 It's a fabulous bundle filled with a ton of spine-chilling activities for Halloween. 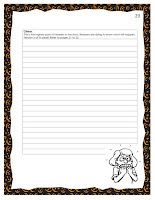 It is divided into several different sections which you print and complete in class one at a time, or print the entire document. 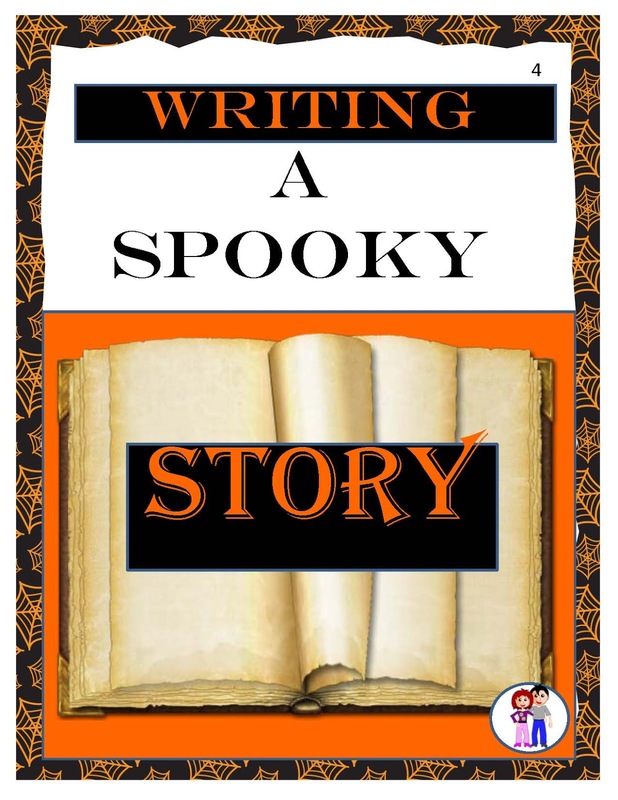 Here, students begin by reading popular ghost stories and learning the elements of a short story. 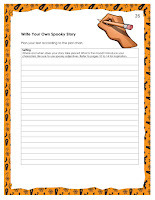 Throughout this learning process, students are also starting to think of what to include in their own short story. 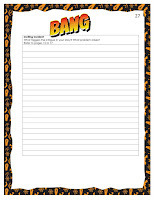 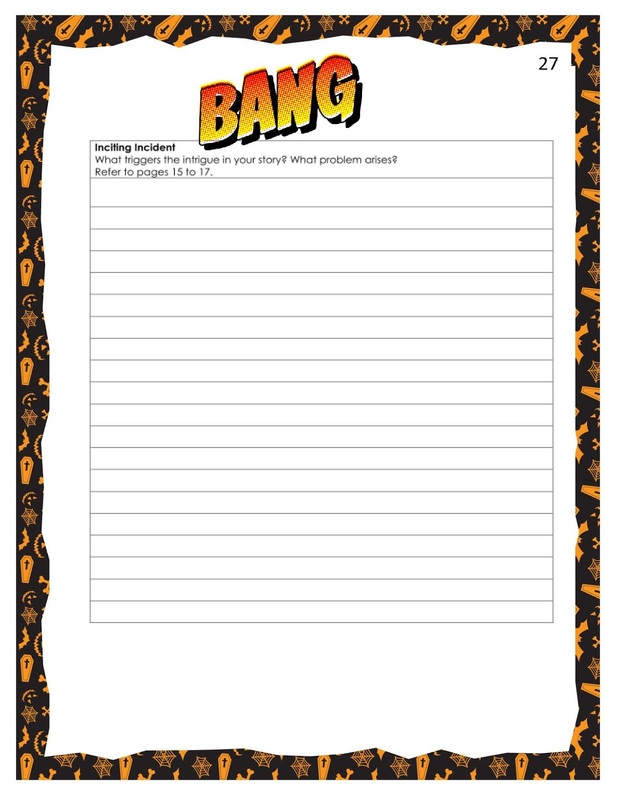 A writing booklet is provided to have them develop each element: setting, inciting incident, rising action, climax and falling action/resolution in their own production. 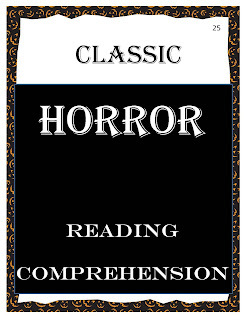 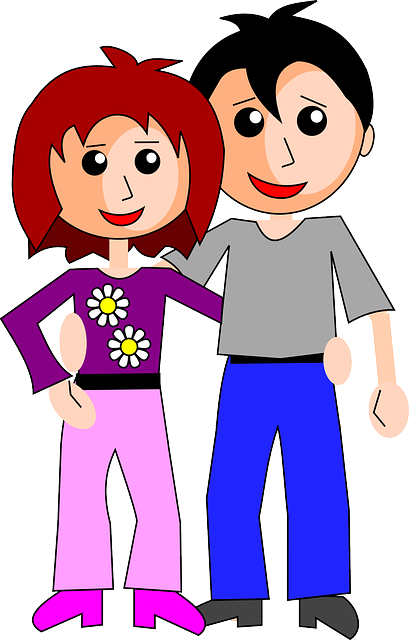 The second section includes two reading comprehension exercises. 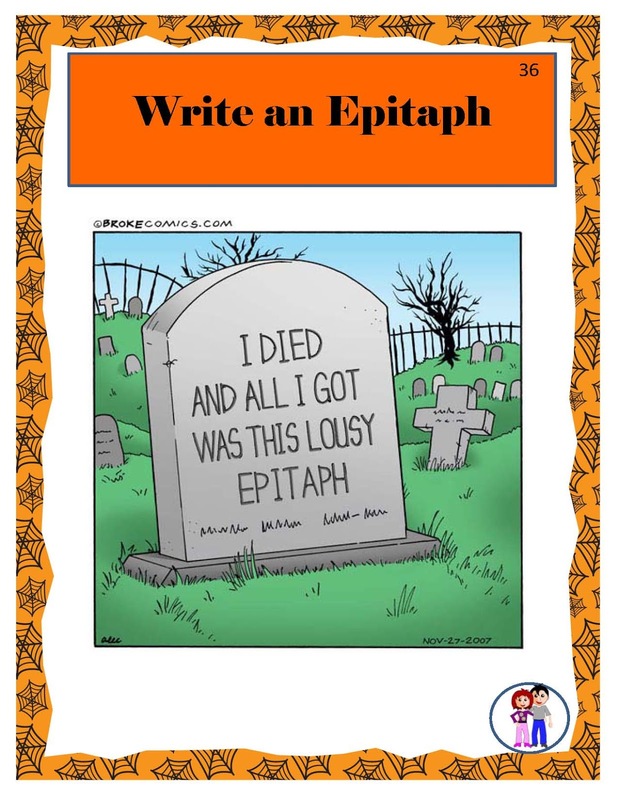 One is a classic short story by Edgar Allen Poe entitled The Tell-Tale Heart, and the second is a short poem by Vernon Scaneli entitled A Case of Murder? 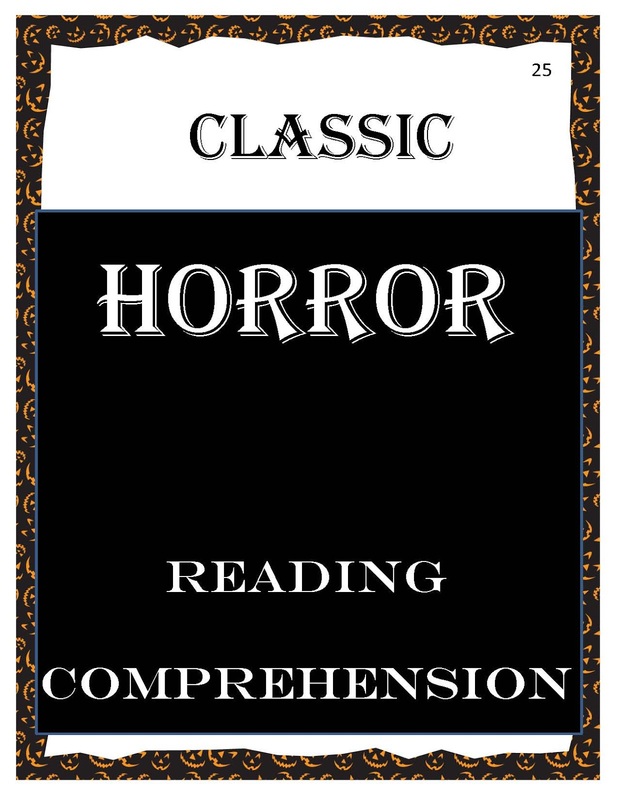 Each text comes with a quiz which includes questions of varying degrees of difficulty from explicit information to implicit. 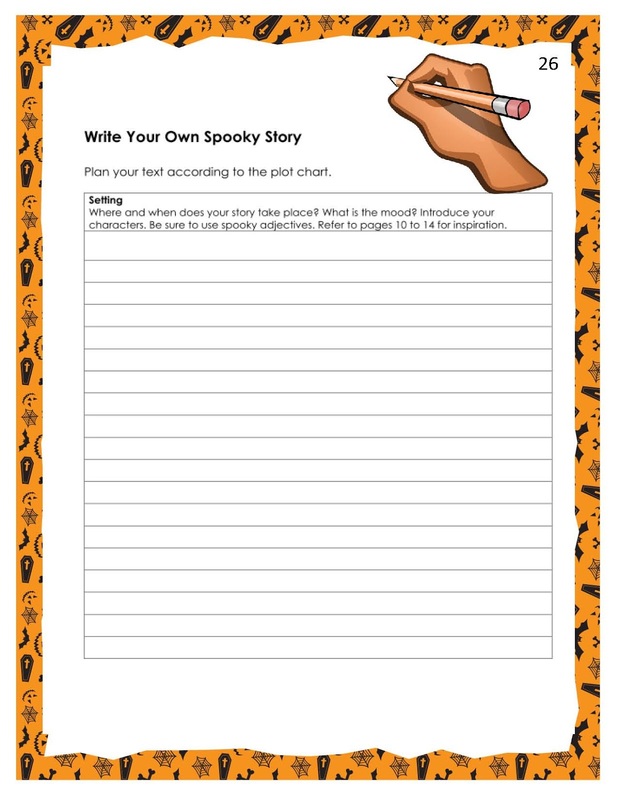 The following section includes two writing exercises. 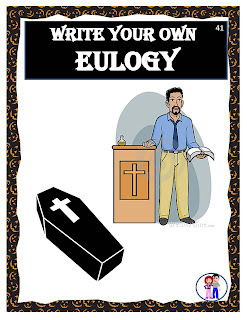 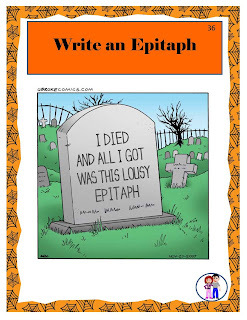 Here students are asked to write two different types of text: a poem (an epitaph), and a speech (a eulogy). 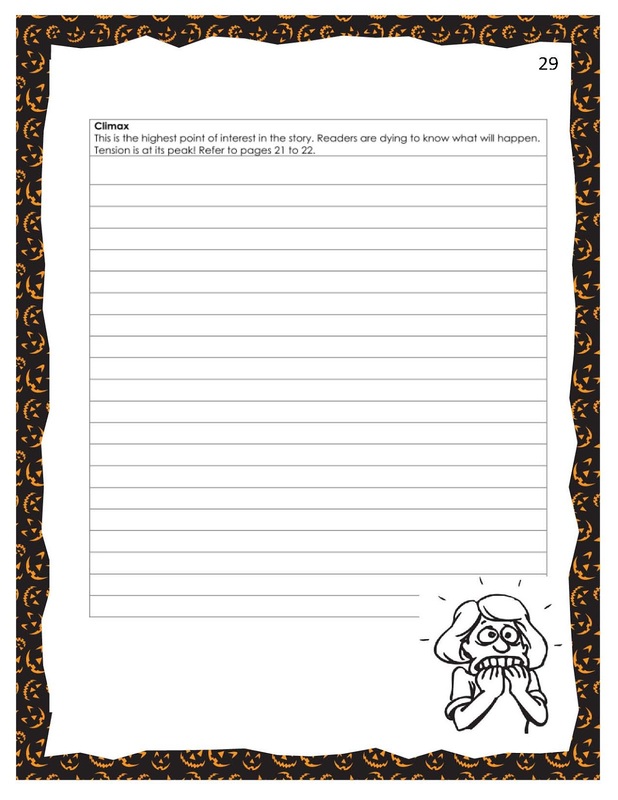 These writing topics are quite appropriate for the theme of the document. 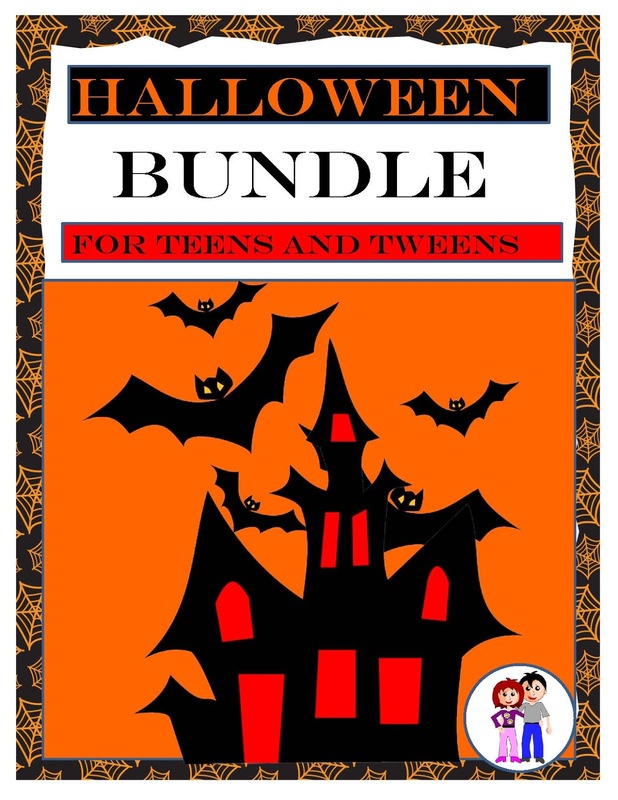 An example of the eulogy for Princess Diana is included in this portion of the Halloween Bundle. 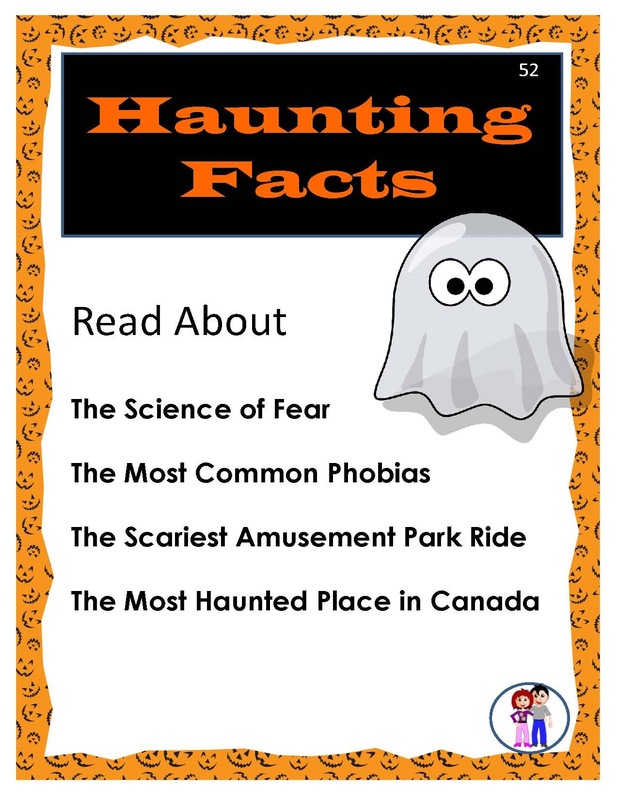 The next part of the bundle includes information based texts about: The Science of Fear, Common Phobias, Scary Amusement Park Rides and also a text about a true haunted castle in Alberta, Canada. 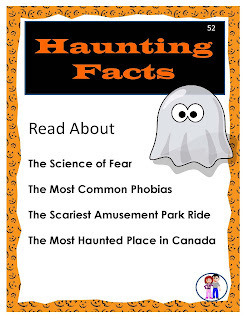 The document is concluded with the fun and games section. 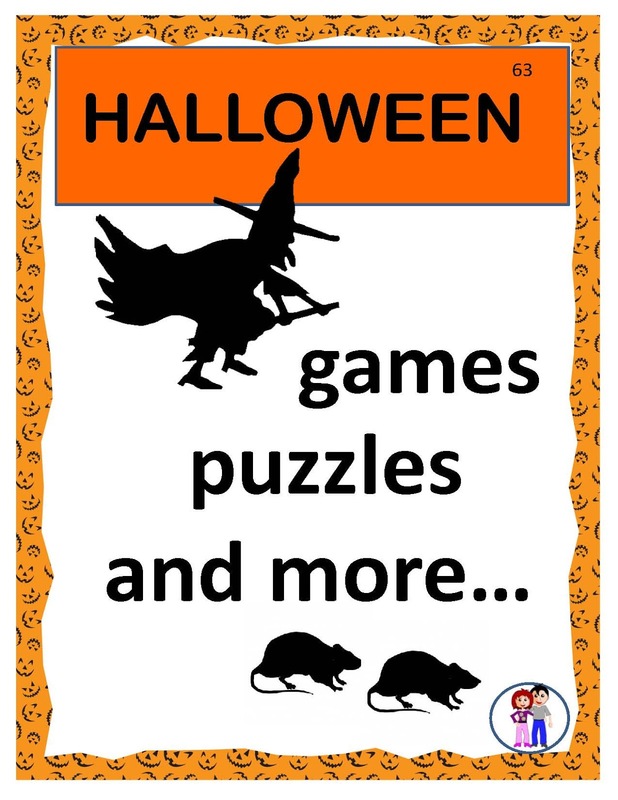 Here crosswords, word searches, jokes, riddles and other Halloween theme fun are abound! 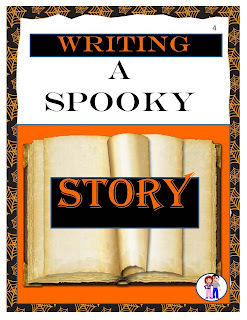 It is appropriately priced for Halloween at 13 dollars!